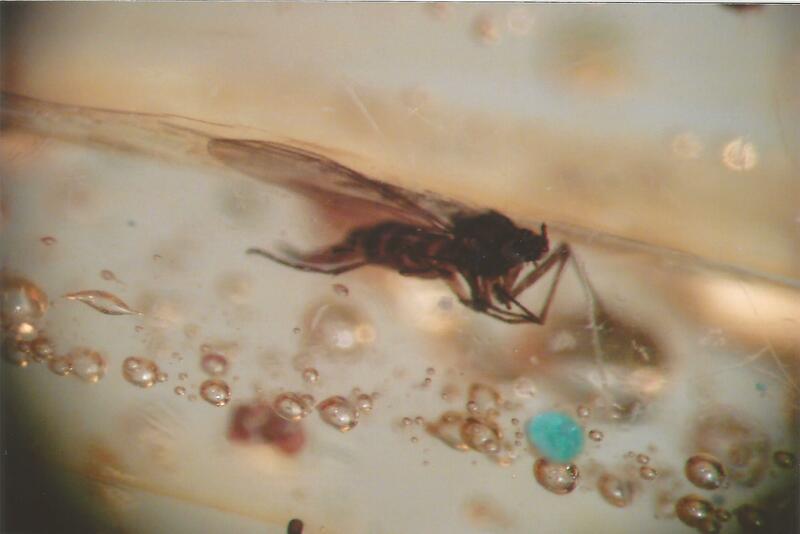 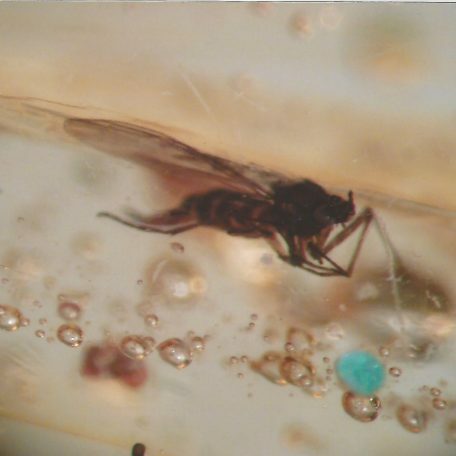 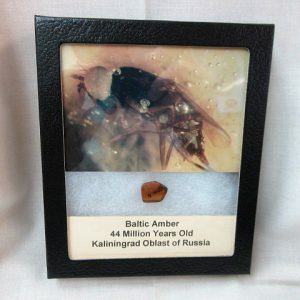 The inclusion (or main inclusion) was photographed through a microscope camera to make it easy to see what is inside the Amber without using a lens to see it, and the photo is inside the 5.25″ x 6.25″ Riker Mount with Label as Shown. 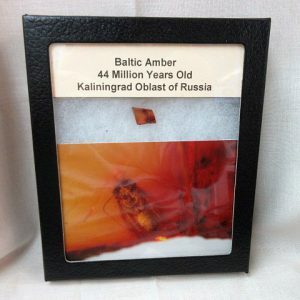 The Baltic region is home to the largest known deposit of amber, called Baltic amber or succinite. 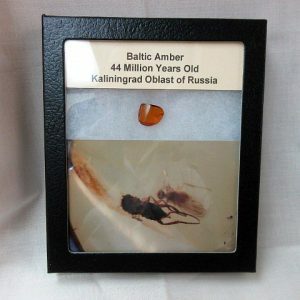 It dates from 44 million years ago (during the Eocene epoch). 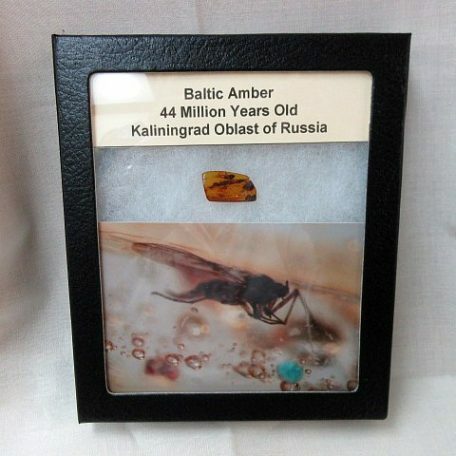 It has been estimated that these forests created more than 100,000 tons of amber. 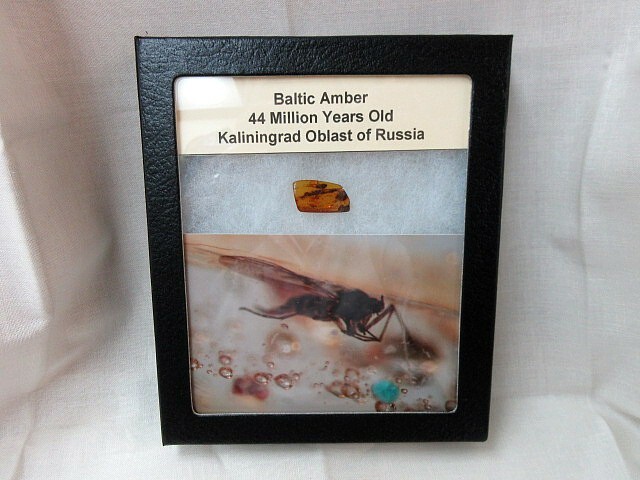 Today, more than 90% of the world’s amber comes from Kaliningrad Oblast of Russia. 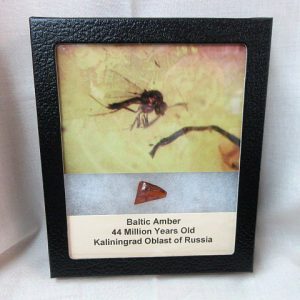 It is a major source of income for the region; the local Kaliningrad Amber Combine extracted 250 tonnes of it in 2014, 400 tonnes in 2015. 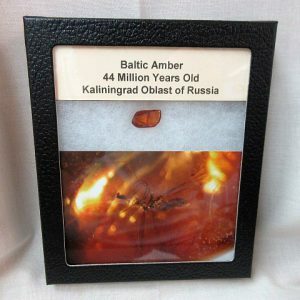 It was thought since the 1850s that the resin that became amber was produced by the tree Pinites succinifer, but research in the 1980s came to the conclusion that the resin originates from several species. 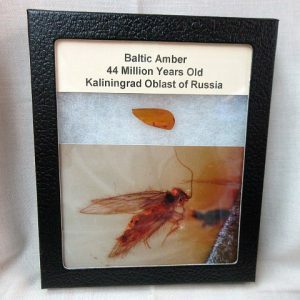 More recently, it has been proposed, on the evidence of Fourier-transform infrared microspectroscopy (FTIR) analysis of amber and resin from living trees, that conifers of the family Sciadopityaceae were responsible. 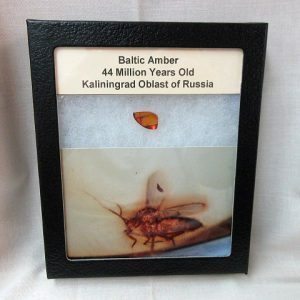 The only extant representative of this family is the Japanese umbrella pine, Sciadopitys verticillata.